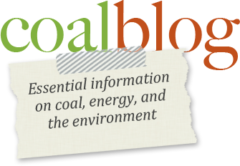 What’s going on at the Coalblog? The Globe & Mail has an interesting article in its May 8th issue that recognizes the political and social problems any government will face if it attempts to implement a carbon tax regime. The National Post has an interesting editorial on the topic of using carbon (dioxide) taxes as a means of reducing energy demand. The author is not convinced that the taxes will do anything other than impact heavily on the poor and middle income groups. He’s in good company making that assumption because other energy and tax experts* have noted that until carbon (dioxide) taxes reach the $125 per ton range, they are unlikely to have any significant or long-lasting impact on consumer behavior. Until that breaking point is reached — and well after, during transition phases — every day items like food, gasoline, and most retail goods will become progressively more expensive. Supplying those basic needs will leach more and more dollars from everyone’s bank accounts. Unfortunately that mindset leads to a lot of grandiose plans, spinning wheels, and impassioned pleas, but not a lot of concrete solutions. To paraphrase for Perisichilli, if we are that seriously concerned about climate change, we need to start acting like it. Unfortunately, that will mean life-, economy-, and society-changing decisions need to be made and made soon. Our politicians should have the guts to tell us we will have to change our way of life before they do. If, however, there is reason to doubt the far-reaching and catastrophic forecasts of climate change — perhaps because climate change may be a natural cycle and beyond our ability to control, or the outcomes of human-caused climate change may not be quite so catastrophic as Hollywood producers would have us think — then drastically altering our way of life or damaging our economy as well as our ability to mitigate the environmental impacts of climate change (or some other environmental influence) may not be the best policy decision. The Canadian province of British Columbia has just released its latest provincial budget. Amongst plans for a variety of spending initiatives was the commitment to become the first North American jurisdiction to implement a "consumer-based carbon (dioxide) tax." In a just sent email news release, Fortune Minerals describes how they are completing the initial look into building an underground pipeline to move anthracite coal, in a slurry, from their Mt. Klappan project in northwestern British Columbia to the deep water port in Prince Rupert. Fortune Minerals Limited (TSX-FT) (“Fortune”) is pleased to announce a summary of results from its preliminary economic assessment of the viability of transporting coal using a slurry pipeline from its proposed Mount Klappan anthracite coal mine in northwest British Columbia to the ports of Stewart and Prince Rupert. This preliminary scoping study, conducted by Marston Canada Ltd. (Marston) indicates that a slurry pipeline could materially reduce transportation costs to the ports as compared to the truck or rail transportation options evaluated in the Company’s positive full feasibility study (2005 FS) completed by Marston in 2005 (see News Release, dated October 17, 2005). According to the scoping study report, such a pipeline may reduce operating costs by as much as 34%. The news release goes on to describe how transportation costs to the port could be as low as CDN $15.75 per tonne. It further notes that when the slurry reaches the port, it would be dewatered and pressed into briquette form for shipping. Although the text of the news release is not up on the website yet, information on the Mt. Klappan project and contact information for Fortune Minerals is available on their website. The Province of British Columbia publishes a monthly bulleting, titled Mining Report that contains information on their mining industry. The December 2007 edition of Mining Report discusses the Energy and Mines Ministers Conference, held in Whistler last September. The statistics on mining in Canada and British Columbia provide useful information on the beneficial impacts of mining in the area. The minerals and metals industry contributed some $40 billion to Canada’s GDP and 369,000 jobs for Canadians in 2006. The mining sector is expected to continue it positive economic performance, with estimates that exploration expenditures in Canada could reach $25 billion in 2007, up 33 per cent from the previous year. Later in the report, the provincial government reports that British Columbia is working to be recognized as a world leader in environmental technologies for coal extraction and use. 356 new licenses, covering 171,456 hectares (423,677 acres), were granted in 2006. With 21.1 million tonnes (~23.3 million short tons) of production in 2006, the B.C. coal industry also was responsible for 2,900 jobs and CDN $128.2 million in revenues from mineral taxes. The rapidly improving environmental record in both the mining and use of coal is just the gravy. When paired with the social and economic stability that the coal industry provides to any region in which mines are active, the arguments for using coal just continue to pile up. It is easy to see why British Columbians are so proud of their coal industry. Sources close to Alberta Premier Ed Stelmach say he is prepared to support the low-emission standard (for automobiles) and use it as “a bargaining chip” to get McGuinty to back off Ontario’s demand for a national cap for industrial carbon emitters and a credit-trading system. multi-stakeholder agreement for road/rail grade separation projects along the Roberts Bank Rail Corridor under the Asia-Pacific Gateway and Corridor Initiative. This work, for which the federal government is investing up to $75 million, will contribute to more efficient road and rail operations and enhance the quality of life for residents along the rail corridor. The port links Westshore Terminals and the Deltaport Container Terminal with the B.C. mainland and through that connection, to the rest of North American rail traffic. The news release indicates that the government and private partners will invest $300 million to complete as many as nine grade separations and provide capacity for future growth.